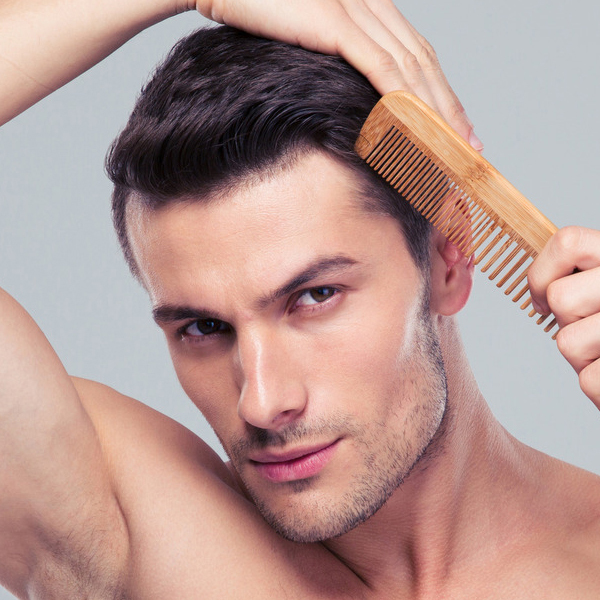 Wave goodbye to your hair loss insecurities with PRP at Bamboo Aesthetics. PRP treatment usually takes up to 60 minutes. Although hair loss (alopecia) rarely needs to be treated on medical grounds, many people seek treatment for cosmetic reasons. Bamboo Aesthetics offers Platelet Rich Plasma Therapy as a method of hair restoration to help restore not only your hair but your confidence too. PRP is a non-invasive, non-surgical treatment for those desiring stimulation of hair growth. Platelet Rich Plasma Therapy takes around 90 minutes and works by stimulating dormant hair follicles and encouraging them to grow once more. This is achieved by taking a few syringes of your blood and separating the red and white blood cells to create platelets. These platelets, in turn, stimulate the growth of cells. The scalp is then stimulated with a dermaroller micro-needling device before the PRP is injected into the scalp. Full results can be expected to be seen in just three months. You may need repeat visits to the clinic to experience the best outcome; we will advise you whether this is likely during your initial consultation. Those who do, return to the practice once or twice year. Is PRP Hair Loss Treatment safe? PRP Hair Loss Solution is safe because the PRP is taken from your own body. This heavily reduces the risk of an allergic reaction or side effects. You may experience some mild swelling, redness or bruising at the injection site. How much will PRP Hair Loss Solution cost me? PRP-based treatments cost between £350 and £550, depending on the nature of your treatment. PRP Hair Loss Solution Treatment usually sits around the £350 mark.